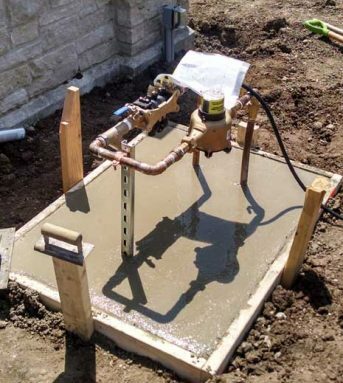 Backflow Services - Western Irrigation, Inc.
Western Irrigation has over 18 years of experience in the backflow industry and maintains thousands of valves. Western Irrigation is also very proud to be a member of the American Backflow Prevention Association (ABPA). The ABPA is an organization whose members have a common interest in protecting all water sources for contamination through cross connection. They are an organization dedicated to education and technical assistance, making Western Irrigation’s Backflow Division up to date with the most recent changes, and or, news in the industries. We have three “cross-connection control device inspectors” (CCCDI) on staff, licensed to install, inspect, and or repair any make model or size of Backflow Valve you may have. Our inspectors have a combined experience of over 30 years, and take pride in protecting the health of our customers. For our commercial customers, Western Irrigation can survey your building and will implement a backflow program that will manage the annual needs of your building(s) RPZ valves. We will contact you annually with a reminder of the upcoming test dates. We will execute the annual test, certification, and or any needed repairs of your backflow preventers, and we then forward all documentation to the appropriate municipality. For our Lawn sprinkler customers, once your irrigation system is activated for the season, we will follow up with the annual test and certification, and immediately submit the certification to your appropriate municipality. Our residential customers that require their fire system backflow to be certified, Western Irrigation will contact you annually with a reminder of your upcoming certification and immediately submit the certification to your appropriate municipality.